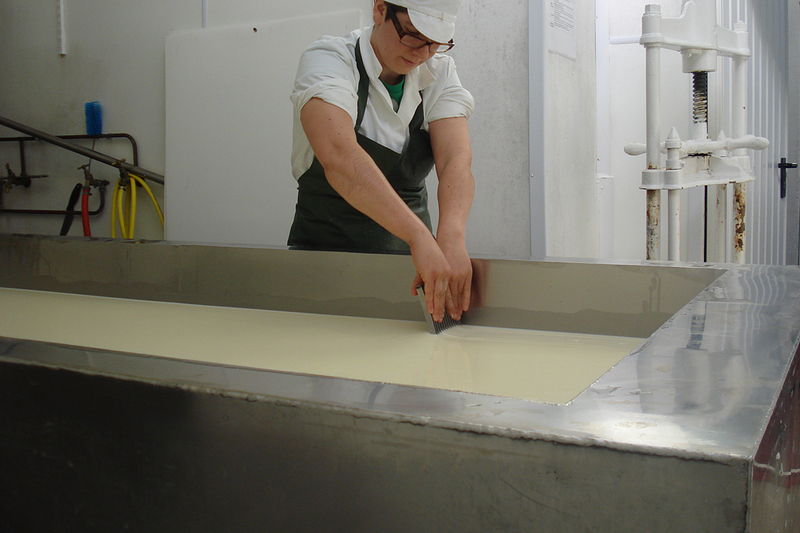 Caerfai Farm Organic Cheese is well known throughout the locality for its exceptional quality and taste. 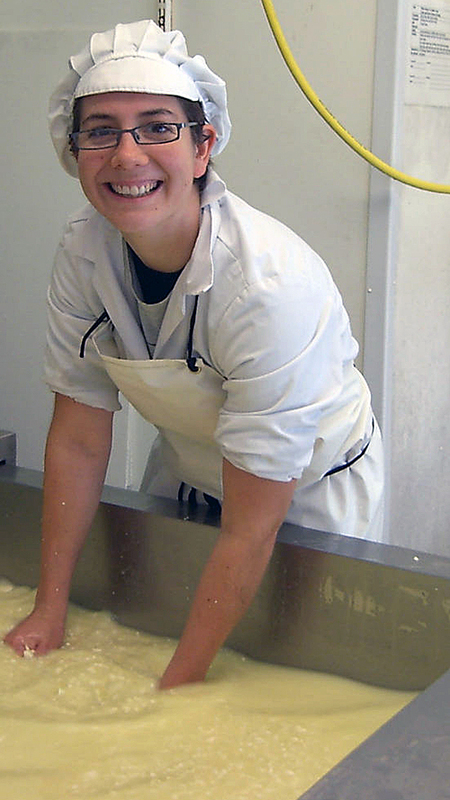 It can often be found on the menus of local fine dining chefs! 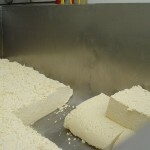 Three types of cheese are made at Caerfai Farm. 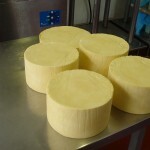 Caerfai Cheddar: Matured for 5-12 months (depending on the season). 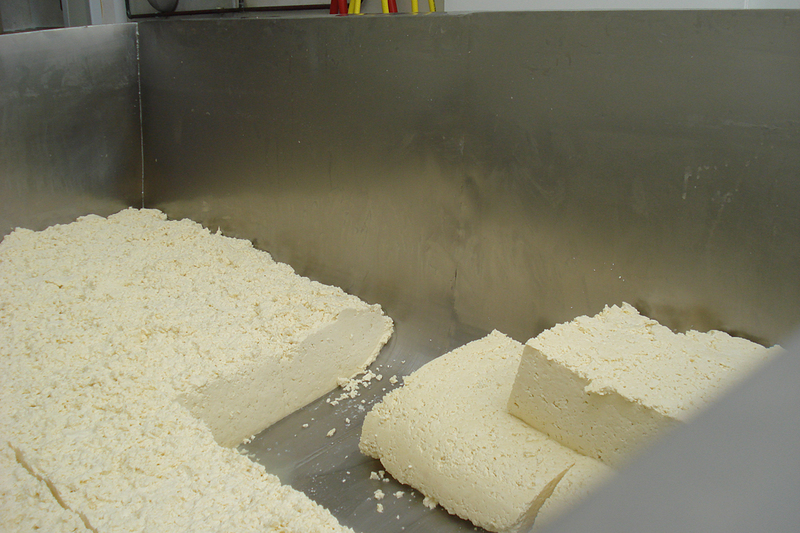 Contains: unpasteurised milk, vegetarian renet and sea salt. 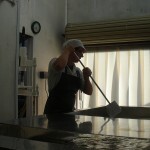 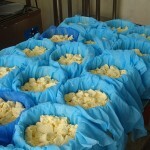 After being turned out the moulds the cheeses are trimmed then bound in traditional cloth. 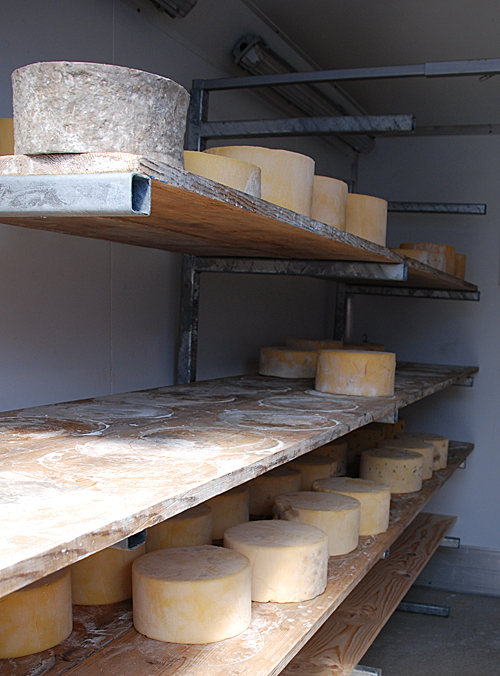 The cheeses are stored in the maturing room at a temperature of 8-12c. 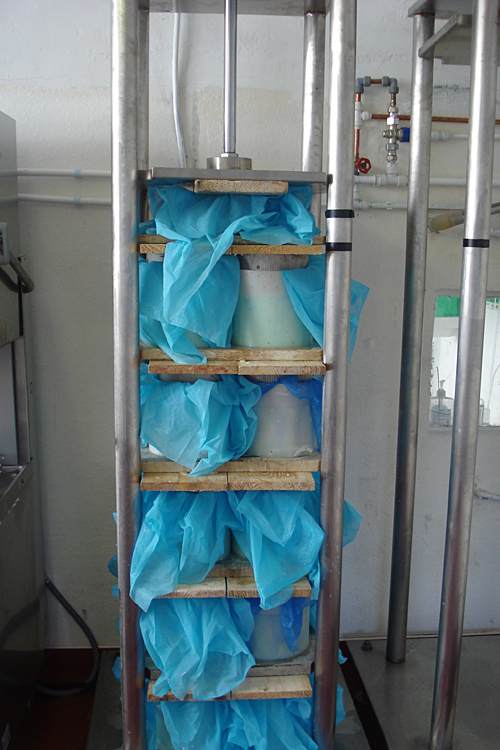 Whole Cheddar is best transported with the cloth retained. 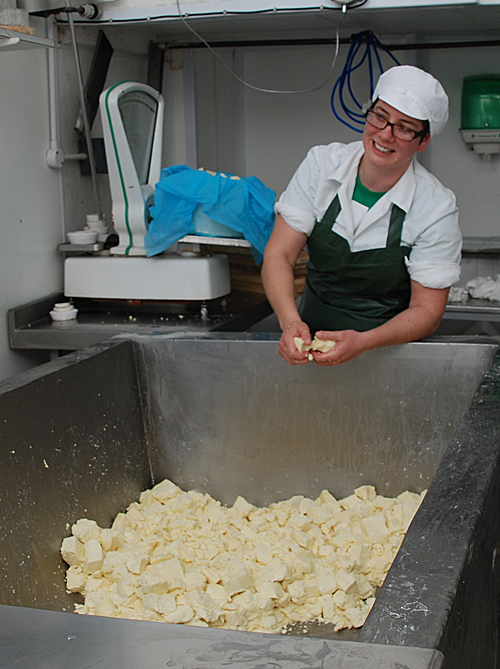 Caerphilly and Caerphilly with Leek and Garlic: This cheese is made to a traditional Caerphilly recipe. 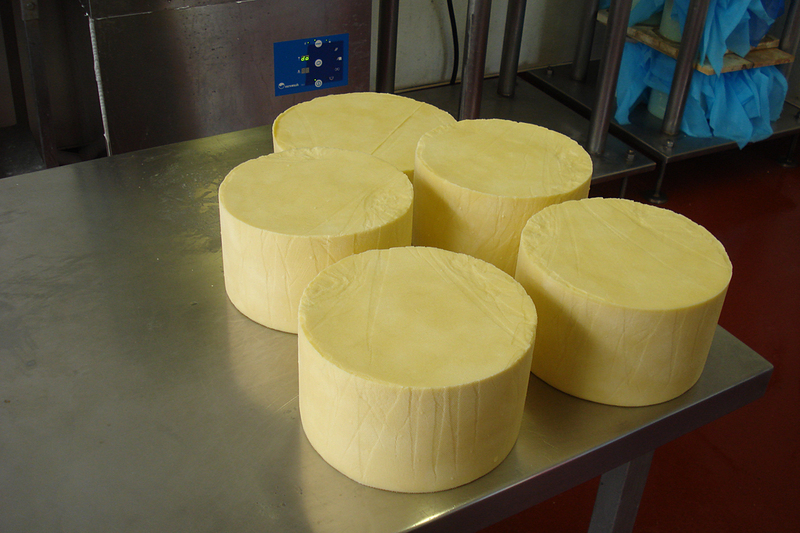 It is a young cheese and can be sold as young as two weeks, although a Caerphilly matured to 1-2 months has a more satisfying taste. 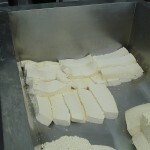 The organic Leeks and Garlic are added just before moulding the cheese. 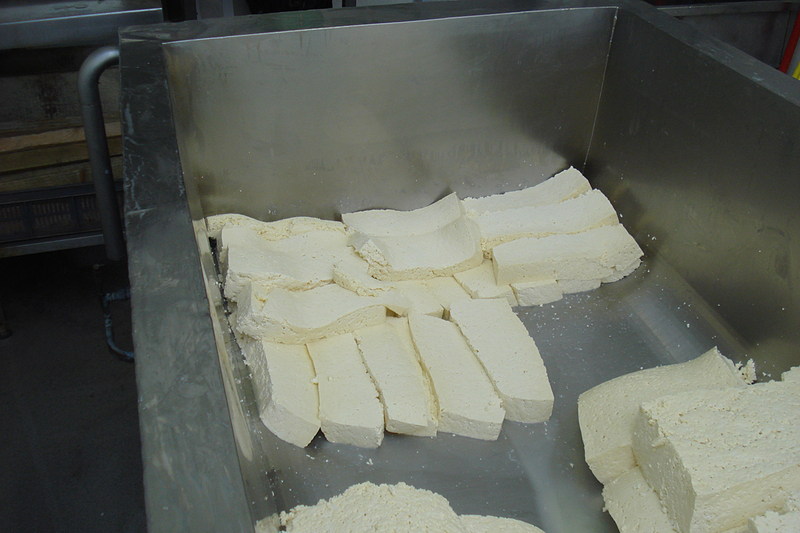 Once out of the mould the cheese is left in a brine bath for 24 hours. 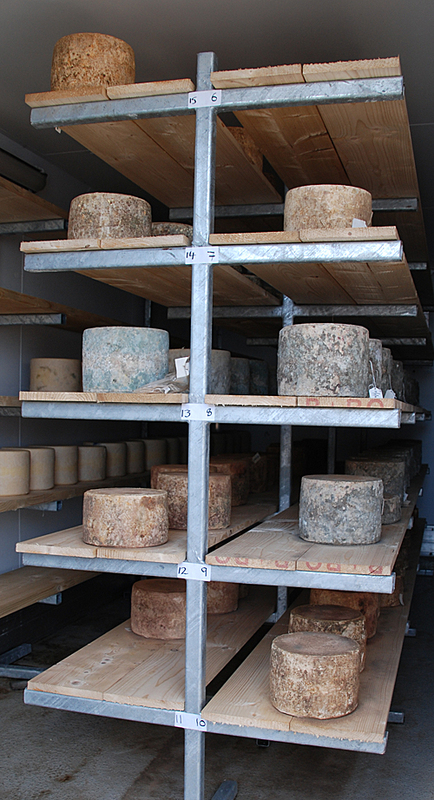 The Caerphilly is also stored on wooden shelves in the maturing room. 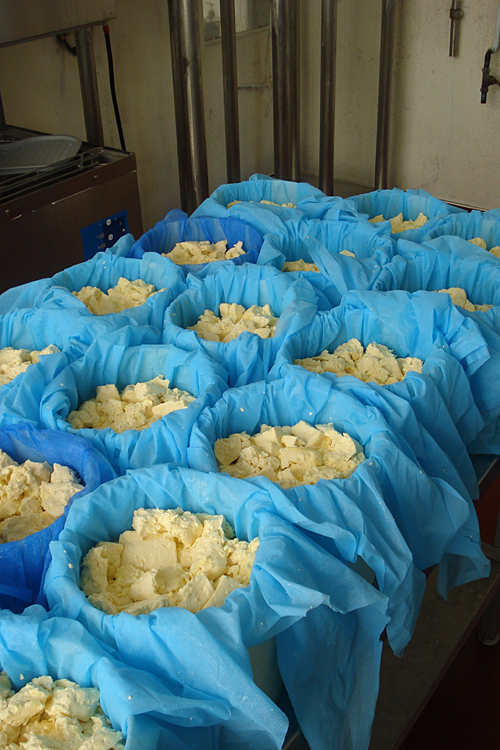 After about 2 weeks of storage, a slight mould blooms on the surface. 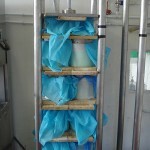 After 1 month, darker patches of mould may form. 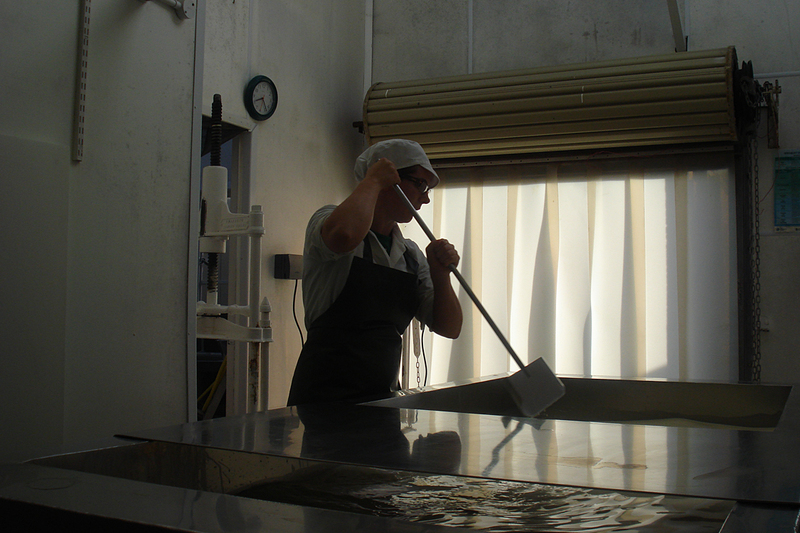 We have facilities on the farm to vacuum pack and weigh cheese wedges of approximately 250g each. 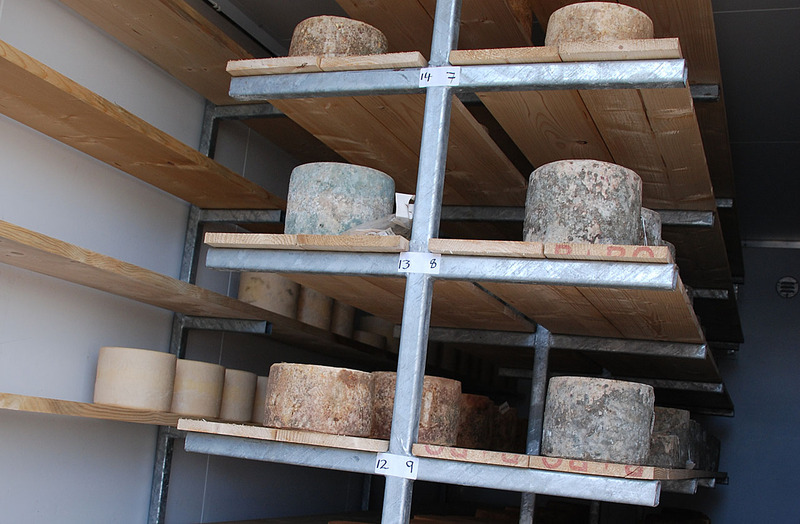 Individual portions of cheese can be bought at the farm shop during the summer season. 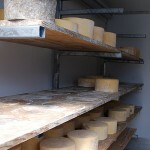 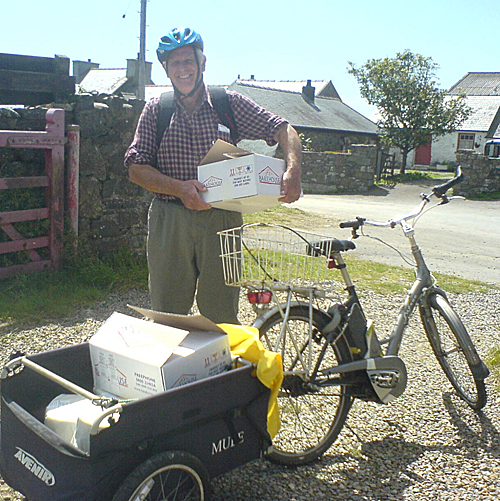 We sell our cheese locally to many of the cafes, pubs and delicatessen in and around Pembrokeshire and further afield. 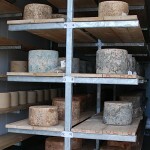 If you are intesested in buying our cheese either for yourself, a gift or wholesale please feel free to contact the farm.